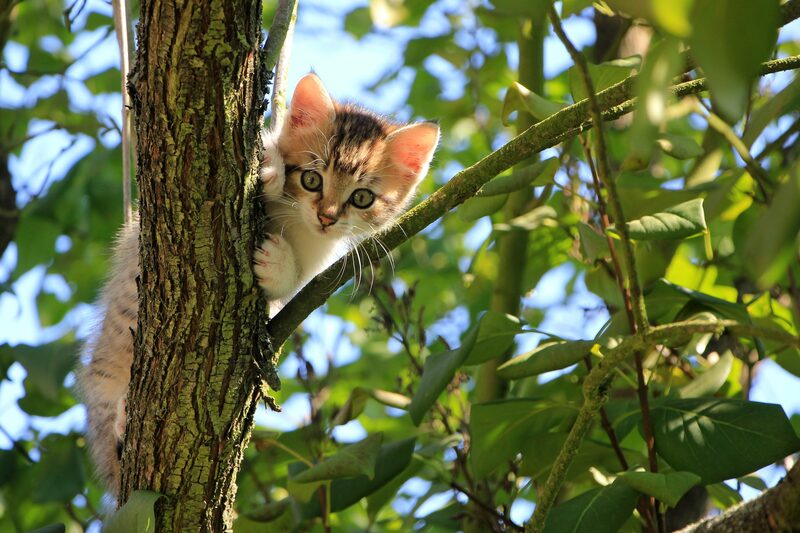 If you have a cat, you’ve probably heard them make chattering or chirping noises. One moment, your kitty is basking in a sunbeam, and the next, they are staring out the window and chattering away at an unsuspecting bird. But why do cats make these odd noises? It turns out it is still a mystery! Scientists have yet to find a definitive answer that explains why cats chatter, but here are a few possible theories. If you have ever watched your cat’s body language when they chatter, you have probably noticed that they are wide-eyed with excitement and fixated on their target. Usually, chattering is a reaction to prey. 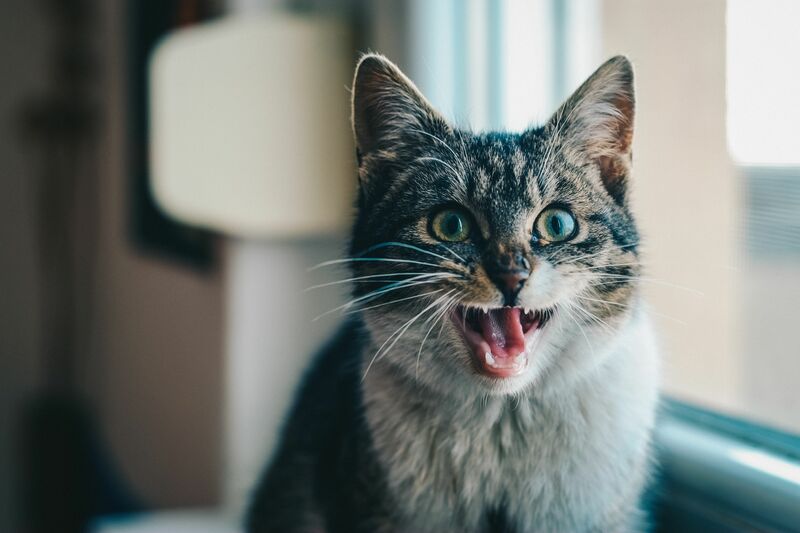 Your cat’s chattering might be an expression of excitement about spotting what they instinctively see as their next meal (or maybe their next “toy” for many of our lazy, well-fed house cats). In other words, they might be thinking like any of us humans when we see our food coming in a restaurant! But why don’t our kitties chatter at us when we are about to feed them? Another theory behind why cats chatter is that they are frustrated. Imagine being so excited to see your food coming in a restaurant, just to watch your waiter put it down at another table. This idea is behind another popular theory that tries to explain why cats chatter: frustration. 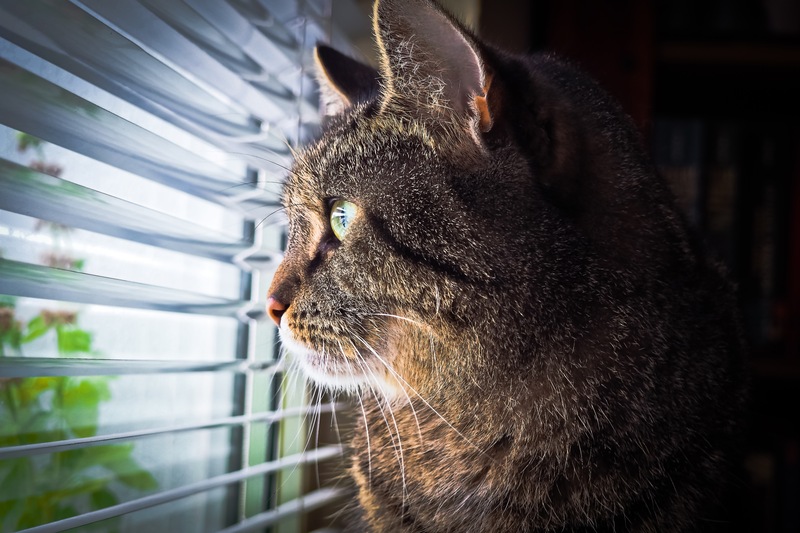 Have you noticed that your cat usually chatters the most when it’s target is just out of reach? Chattering may be a way of expressing their irritation at not being able to hunt that pesky-but-delicious bird. To your cat, that bird is exciting; it is something to chase around, or a tasty lunch. According to this theory, when your kitty realizes that they can’t pursue this tasty and exciting meal, they chatter to express their frustration. They may be a humble house cat, but they still have that killer instinct! Some evidence that supports this theory is that many cats do not chatter when they are actively hunting or stalking their prey - they try to be as quiet as possible. It seems that most cats chatter when they know they are unable to catch their target. The next theory behind why cats chatter is a little more violent. Some animal behaviorists say that the rapid jaw movements that cats make when they chatter is similar to a biting motion. When hunting, cats will bite the neck of their prey to quickly subdue them. Your sweet fluffball might be practicing their neck bite, which is the rapid bite used to kill their prey. After all, most of our kitties don’t chatter at the bag of treats that is just out of reach on the kitchen shelf, but they will chatter at a passing bird out the window. It is also possible that they are mimicking the action in anticipation of catching their prey, or even making the motion because they can’t catch their prey and they are acting out what they would like to do. They might be so fixated on their target that their mouth moves instinctually, even if they are unable to chase their prey. Looks like Whiskers still has a wild side! Wildlife researchers speculate that chattering might be part of a hunting technique. Although they haven’t applied their research to the humble house cat, scientists in the Amazon rainforest have documented an instance of a wild cat mimicking monkey calls in an attempt to draw in prey. Researcher Fabio Rohe was on a research trip when he saw a margay (a small wild cat) stalking through the brush, attempting to hunt some pied tamarin monkeys. He then heard the margay attempt to imitate the sound of a baby pied tamarin. He theorized that the margay was using vocal mimicry in an attempt to attract the adult tamarins nearby. Rohe and his colleagues interviewed other people living in the Amazon, and some of them also reported hearing wild cat species attempting to mimic their prey. Although these wild cats are only loosely related to our fluffballs at home, it does make us wonder if our kitties think they are imitating their prey. Regardless of the reason behind why our cats chatter, it is a pretty adorable and funny kitty quirk… well, except if Fluffy is actually revelling in the idea of killing that bird. Hopefully, one day we will discover why our kitties make these funny noises (who else would love it if we could read our kitties’ minds? ), but until then, we’re pretty content with watching our cats chatter away.